Back Row: Mrs Flamank, Mrs Harvey, Mrs Robbins, Miss May Osborne, Mrs Betty Dingle & Miss Harvey. 3rd Row: Mrs Lee, Mrs Richards, Miss Arnott, Mrs Trevethan, Mrs May, Mrs S Nicholls, Mrs Willcocks, Mrs Morgan, Mrs Waters & Mrs Grubb. 2nd Row: Mrs Grubb, Miss Morgan, Miss Sheila Willcocks, & Mrs J Richards. 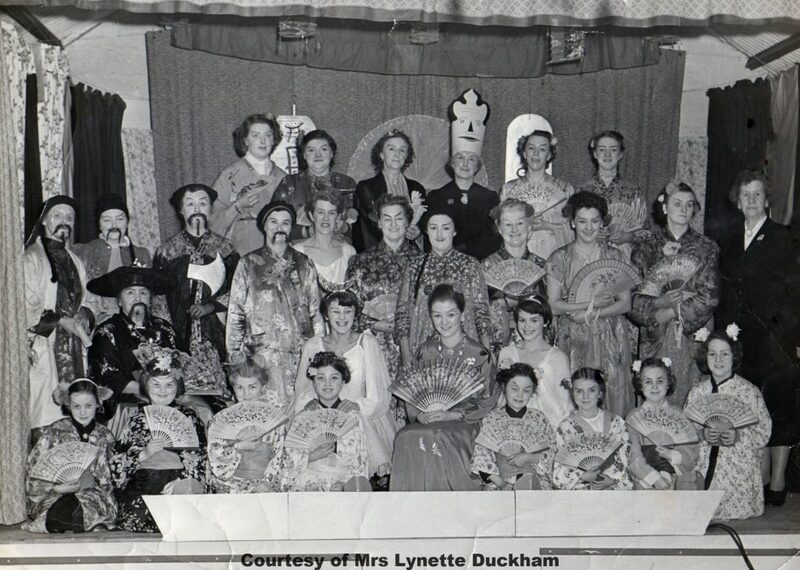 Front Row: Miss Pam Dyer, Miss Elizabeth Osborne, Miss Susan Adams, Miss Carol Pedlar, Miss Lynette Pedlar, Miss Anne Lawrence, Miss Rosemary Lee & Miss L Harvey. Morning Claire, there is always someone “out there in cyber space” that is related to someone who lived/lives in the village. Yes please do post on my Facebook Group page “Memories of Goonhavern” If you can post them individually with a small comment, names, year etc it would be appreciated.